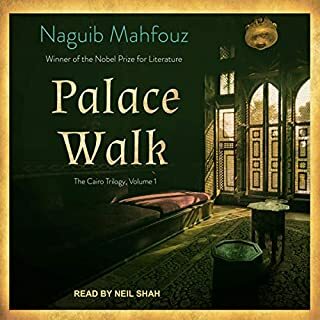 A national best seller in both hardcover and paperback, the first book of the masterful Cairo Trilogy introduces the engrossing saga of a Muslim family in Cairo during Egypt's occupation by British forces in the early 1900s. While Selvon, Ardan, and Yusuf organize their lives around soccer, girls, and grime, Caroline and Nelson struggle to overcome pasts that haunt them. Each voice is uniquely insightful, impassioned, and unforgettable, and when stitched together, they trace a brutal and vibrant tapestry of today’s London. In a 48-hour surge of extremism and violence, their lives are inexorably drawn together in the lead-up to an explosive, tragic climax. Oe's most important novel, A Personal Matter, has been called by The New York Times "close to a perfect novel". In A Personal Matter, Oe has chosen a difficult, complex though universal subject: how does one face and react to the birth of an abnormal child? Omar Sharif leads an all-Egyptian cast in this three-part drama, recorded entirely in Egypt's capital. Adapted from Naguib Mahfouz's novels, this is a gripping family saga, with a monstrous father, a loving mother, and four children. It is set in seductive Cairo from 1917 to 1953, against a backdrop of political upheaval. No, it was not worth my time. The material selected left out the most important parts of the story. Has The Cairo Trilogy (Dramatised) turned you off from other books in this genre? Think I will stick with complete readings. Did The Cairo Trilogy (Dramatised) inspire you to do anything? Over melodramatic had the quality of a soap opera. The sounds are very good, and the novel itself is amazing how the writer draws every character. A pleasant abridged version with a cast of stars. Would you consider the audio edition of The Cairo Trilogy (Dramatised) to be better than the print version? I would not, since this version reduces each book to an hour long dramatized version. But this is still great work in my opinion. What was one of the most memorable moments of The Cairo Trilogy (Dramatised)? There were many, it was particularly enjoyable how the Egyptian cast of voice actors would throw in Egyptian words in their conversations aside of the English script. And it was also enjoyable how there was always famous music playing the background, and it was always different, and sometimes they would sing it. Which character – as performed by Omar Sharif – was your favorite? Omar Sharif only played the narrator, which although was excellently played, he did not dominate the scene. However, the cast was still fun to listen to, many of them famous Egyptian stars. If you could take any character from The Cairo Trilogy (Dramatised) out to dinner, who would it be and why? Omar Sharif's character was the most sincere and relatable. Romantic, wise and educated, and with age he gained wisdom. 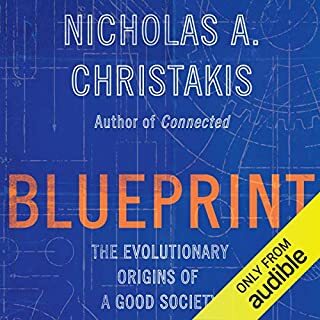 Summary: Although this is no replacement for the original texts, which I would love to have available on Audible, this is still a fun, short and enjoyable listen. 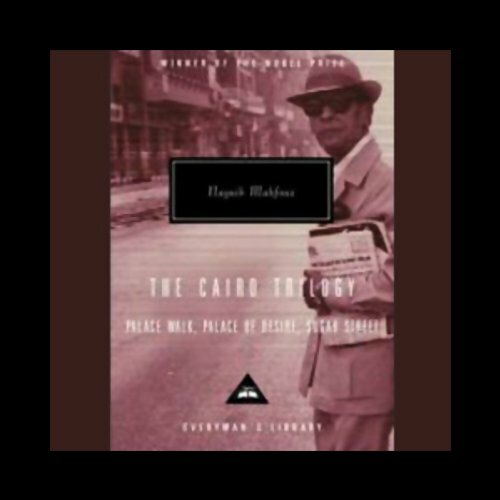 Naguib Mahfouz won the Nobel prize for this trilogy and I can see why. 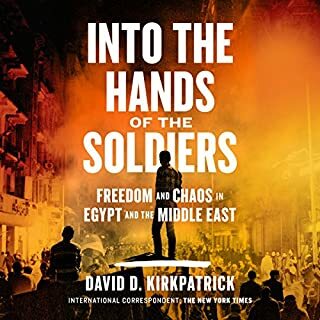 This trilogy tells the story of three generations of one family against the backdrop of the Egyptian struggle for independence. 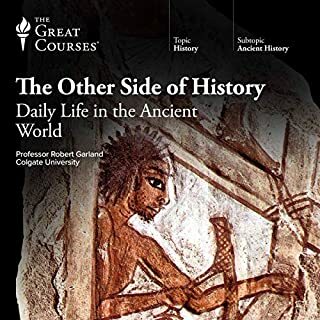 The remarkable authenticity of the production (it was recorded in Cairo), the quality of the acting, even the evocative background music all make this a really memorable listening experience. 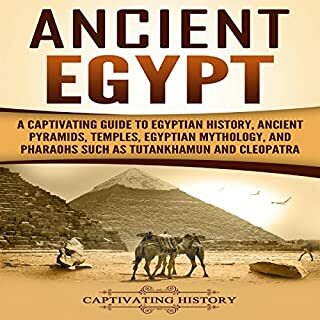 Recorded and cast in Cairo, there is a real depth and authenticity to this production that charts the fate of three generations of Eygptians in the tumultous interwar period. 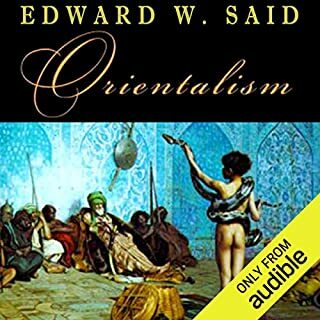 Great performance, rich production values and a quick paced story that provokes thoughts about the roots of today's Middle East. Would listen again. Just sad that it's finished. Brilliant dramatisation. A shame it's so abridged and this very short. But very enjoyable nonetheless.